Richard Stoltzman's virtuosity, musicianship and sheer personal magnetism have made him one of today's most sought-after concert artists. As soloist with more than a hundred orchestras, as a captivating recitalist and chamber music performer, as an innovative jazz artist, and as a prolific recording artist, two-time GRAMMY® Award winner Stoltzman has defied categorization, dazzling critics and audiences alike throughout many musical genres. Stoltzman graduated from Ohio State University with a double major in music and mathematics. He earned his Master of Music degree at Yale University while studying with Keith Wilson, and later worked toward a doctoral degree with Kalmen Opperman at Columbia University. As a ten-year participant in the Marlboro Music Festival, Stoltzman gained extensive chamber music experience, and subsequently became a founding member of the noted ensemble TASHI, which made its debut in 1973. Since then, Stoltzman's unique style of playing the clarinet has earned him an international reputation as he has opened up possibilities for the instrument that no one could have predicted. He gave the first clarinet recitals in the histories of both the Hollywood Bowl and Carnegie Hall, and he became the first wind player to be awarded the Avery Fisher Prize. He was featured in the International EMMY® Award-winning series "Concerto!" with Dudley Moore and Michael Tilson Thomas, and was awarded the prestigious Sanford Medal by the Yale School of Music. His talents as a jazz performer as well as a classical artist have been heard far beyond his annual tours. He has performed or recorded with such jazz and pop greats as Gary Burton, the Canadian Brass, Chick Corea, Judy Collins, Steve Gadd, Eddie Gomez, Keith Jarrett, the King’s Singers, Mike Manieri, George Shearing, Wayne Shorter, Mel Tormé, Spyro Gyra founder Jeremy Wall and Kazumi Watanabe. 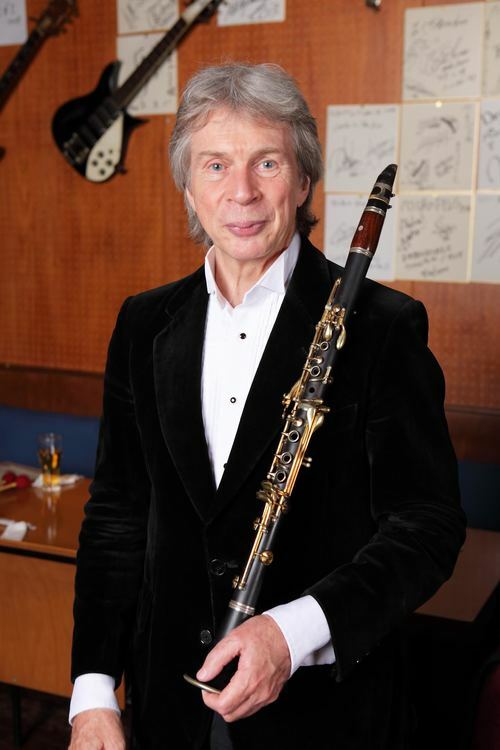 His commitment to new music has resulted in the commissioning and premiere of numerous new works for the clarinet, including "Fantasma/Cantos" by Toru Takemitsu, the 1994 winner of Grawemeyer Award for Music Composition, “Landscapes with Blues” by Stephen Hartke, a concerto by Einojuhani Rautavaara which premiered with conductor Leonard Slatkin and the National Symphony at the Kennedy Center and Carnegie Hall, “TRIO 2009” written for him, cellist Lynn Harrell and pianist Robert Levin by Pulitzer Prize-winning composer, Yehudi Wyner and most recently, “Marika Groove” by Chick Corea, written for him and marimbist, Mika Yoshida, which premiered with Eddie Gomez and Steve Gadd at Carnegie Hall. Richard Stoltzman has a discography numbering over 80 releases on BMG/RCA, SONY Classical, MMC, BIS, Albany and other labels, including a GRAMMY® -winning recording of Brahms Sonatas with Richard Goode. Among Stoltzman's most beloved releases are “Amber Waves”, a CD of American works, and the Trios of Beethoven, Brahms and Mozart with Emanuel Ax and Yo-Yo Ma, which won Stoltzman his second GRAMMY® Award. Acclaimed recordings include Hartke’s “Landscapes with Blues” with IRIS, conducted by Michael Stern (Naxos), a New York Times “Best of 2003”, Rautavaara’s Clarinet Concerto recorded with Leif Segerstam and the Helsinki Philharmonic(Ondine), an All-Bach recording, “Vibrations and Fantasies”(BMG Japan), among others. Recent recordings range from William Bolcom’s “Concerto for Clarinet and Orchestra” and Clare Fischer’s “The Duke, Swee’pea and Me” (Marquis Classics) to Chick Corea’s “Marika Groove” (Big Round Records) to "Resolve" featuring Hindemith works (Navona Records). In May 2017, SONY Classical issues a 40-CD boxed set, celebrating the variety and depth of Stoltzman's artistry. 2017 also saw a new release, "Duo Cantando" with Mika Stoltzman, marimba (Savoy/Denon). Richard Stoltzman continues to be a trailblazer for his instrument and his arrangement and performance of Debussy’s “Maid with the Flaxen Hair” (Navona Records) was chosen as one of only three tracks to be pre-loaded on Microsoft’s Windows® System 7 release. Bach’s “Chromatic Fantasy in D minor,” “performed so persuasively and exquisitely” (Baltimore Sun), as well as his reflections on the composer, that appear in the Michael Lawrence’s Documentary Film “Bach & friends” have been singled out as “brilliant” (Huffington Post). Live performances accompanied screenings at the January 2010 EG conference at Symphony Space in New York City later that year. 2018 Stoltzman appearances will stretch from New England to Alaska, and throughout Japan, including a variety of Bernstein Centennial celebrations. 2017 touring included collaborations with the American, Borromeo, Dover, and Jupiter String Quartets, the addition of the jazzy Seigmeister Concerto to his repertoire, Bernstein's "Sonata" orchestrated for Stoltzman by Sid Ramin at ClarinetFest and New York's Zankel Hall at Carnegie Hall, among others. Recent seasons have included an eclectic mix of performances: premiering a Christopher Wheeldon Pas de Deux to works of Bernstein and Previn at New York City Ballet, several tours with the New York Chamber Soloists, a partnership with the Klezmatics at the University of Texas, Austin, a residency and tour with the University of Northern Florida Jazz Ensemble, duo recitals with guitarist Eliot Fisk as well recitals with pianists David Deveau, Simone Dinnerstein and Yehudi Wyner. Orchestral performances include works of Bernstein, Copland, Debussy, Mozart, and Rossini, and a sold-out debut performance of Corigliano Clarinet Concerto at Buenos Aires’s renowned Teatro Colon. In the past two seasons, tours have also taken Stoltzman to Japan, Hong Kong, China, and Mexico. Additional highlights have featured Stoltzman’s performances of Toru Takemitsu’s Fantasma Cantos with Michael Tilson Thomas and the San Francisco Symphony, as well as at the composer's official 75th birthday memorial tribute in Japan; Mozart Concerto performances with the Chicago Symphony Orchestra at Ravinia and at New York’s Mostly Mozart Festival marking Stoltzman’s 25th appearance at the Lincoln Center festival; and duo recitals with pianists Lukas Foss and Emanuel Ax, with whom he premiered Yehudi Wyner’s "Commedia". Extended residencies have taken Stoltzman to numerous orchestras and major universities throughout the U.S. and Canada. Especially memorable are concerts of jazz and classics with his son, pianist Peter John Stoltzman. Father and Son perform together around the globe and were featured on NPR’s “Performance Today” and “Weekend Edition” as well as “Voice of America” radio. For their extraordinary talent on the stage, in the classroom, and throughout the community, WGBH radio in Boston called the Stoltzmans “New England’s First Family of Classical Music”. 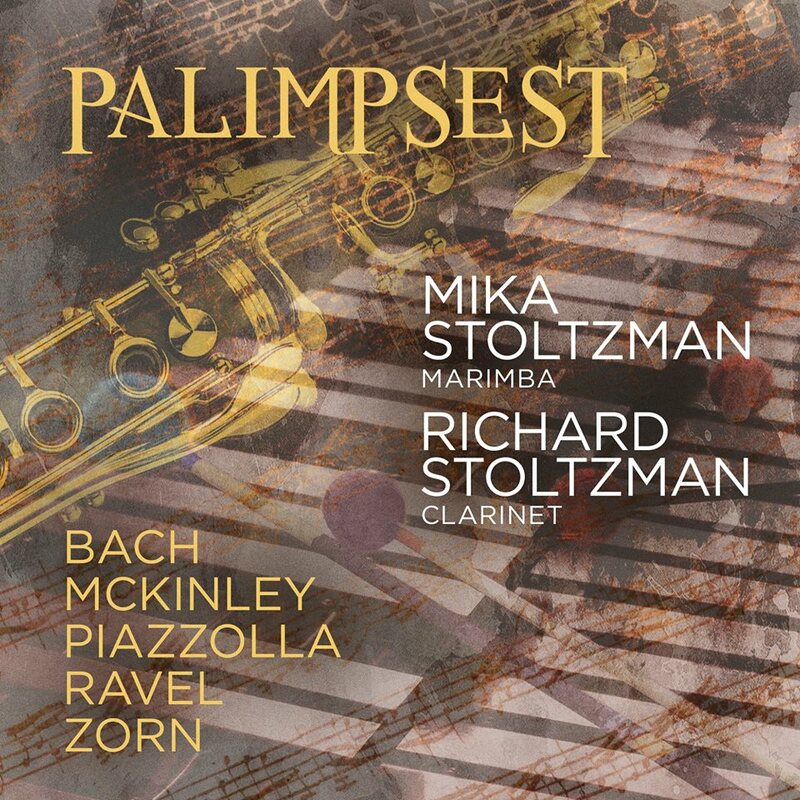 Over the years, Stoltzman has received numerous requests for the music to the enchanting arrangements and original works that can be heard on his recordings and in live performance. Amateur and professional clarinetists alike are now in luck as they can finally enjoy this music published in a variety of volumes. The “Richard Stoltzman 21st Century Series for Clarinet” is published by Lauren Kaiser Music and features sheet music and accompanying CDs. Brahms Intermezzo, Op. 118, No. 2, Bach Chromatic Fantasia & Fugue in D minor, BWV 903, Schubert 2 Sonatines For Clarinet, Op. Post. 137 are among the works available. “ARIA,” featuring music from the BMG recording of the same name, and “The Richard Stoltzman Songbook,” a collection of jazz and classics, are both published by Carl Fischer.